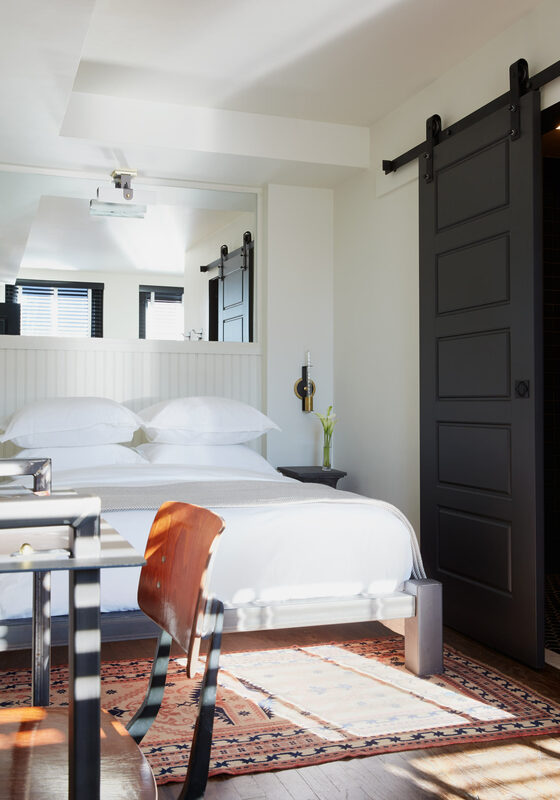 Perfect for one but with room for up to two, featuring one plush full bed and one cozy chair. 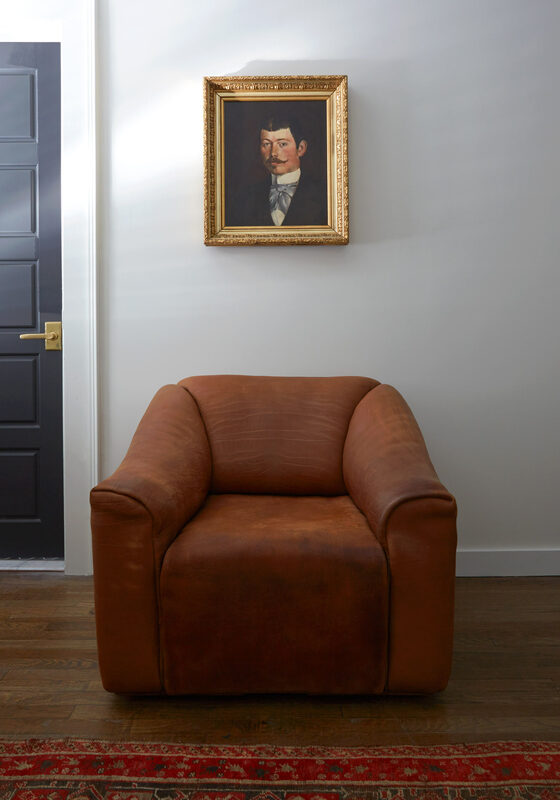 All rooms feature luxury linens and a mix of custom and vintage furniture and original artwork, from European portraiture to prominent RISD photographers. 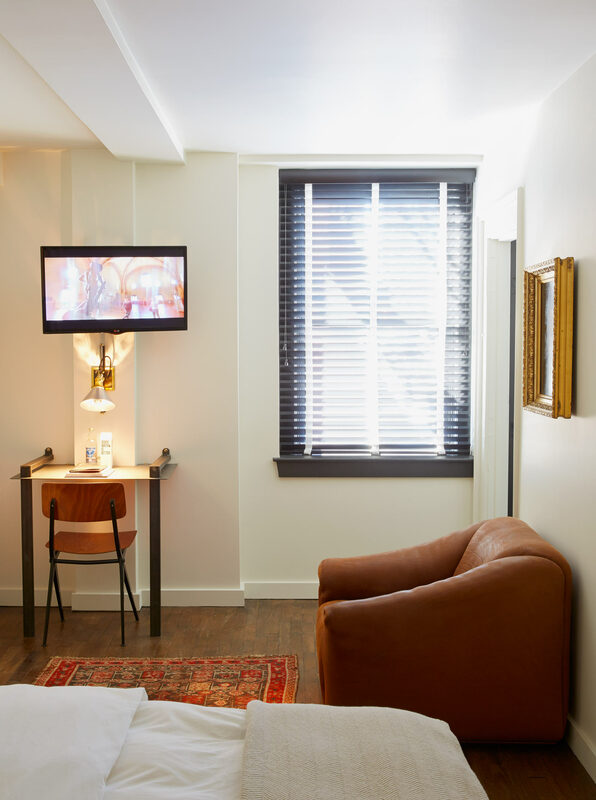 The Patron includes a writing desk, complimentary WiFi, two hundred premium TV channels, gourmet snacks, hanging storage, along with a signature black bathroom complete with rainshower and toiletries made exclusively for The Dean.